A Florida homestead has some of the strongest protections from creditors available in the United States and allows an individual and family to protect their home. 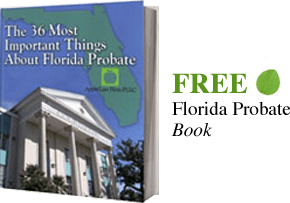 Establishing and funding a Florida Homestead is one technique used by Asset Protection Lawyers in Jacksonville to help protect a family's wealth and assets from creditors claims. The Florida Constitution defines a homestead as exempt property. For the house to qualify as an exempt property, the real estate must be the primary residence of the owner or another person who is legally dependent on the proprietor. To become qualified for the exemption, the owner must own the house on January 1st of the year the applicant claims the exemption. A person may also qualify for the exemption if he or she has a beneficial interest in the homestead such as a life estate. A life estate in a home allows the holder of the life estate to live in the house during his or her life, while another person owns the remainder. The homestead exemption also extends to the land surrounding the house. Florida exempts up to 160 acres of land if the house is located outside a municipality and up to ½ acre inside a municipality. A Florida homestead protection can include a house, condominium, manufactured home, and mobile homes. To obtain Florida homestead protection one is required to show evidence of ownership or a beneficial interest. We recommend a copy of the deed or a tax bill. A Florida resident also needs proof that he or she is a permanent resident of the state. All applicants for the exemption must provide a valid Florida driver’s license or another valid ID card that reflects permanent residence. Additionally, a residence must also show either a Florida vehicle registration, Florida voter registration, or a formal declaration of domicile recorded in the state public records. The main advantage of declaring a home as a homestead property is that creditors cannot force a sale when the applicant uses the house as the primary residence. The only exception to creditor’s claims is when a homestead is subject to sale for taxes, construction liens, and mortgages against the property. In Florida, an owner of a homestead is not allowed to obtain a mortgage on the property unless his or her spouse agrees. The big takeaway of this rule is that a person cannot have two homesteads in Florida. If a Florida resident owns the second piece of real estate, like a vacation home or rental property, then the government does not protect property the property as a homestead. There are additional benefits for those who suffer from a total and permanent disability. Florida law states that any real estate owned by a quadriplegic as a homestead are exempt from any ad valorem taxes. Ad Valorem tax is a tax based on the assessed value of an item. If you think Asset Protection may be appropriate, or you feel that there is a potential risk you would like to limit, CONTACT our Florida Asset Protection Lawyers by email or call us at 904-685-1200 to discuss your situation today.